Travelling to Sri Lanka is an adventure in itself. This beautiful island in the sun is flanked by golden beaches from all sides while its jade green interiors hide scenic mountains, luscious rain forests, abundant wildlife and a rich and vibrant culture. A visit can prove overwhelming as travelers never lack for entertainment, but planning your trip is always a good idea, so here are 10 things you absolutely must do while in the country. Sri Lanka’s beaches are legendary and nothing should hold you back from these tropical slices of heaven. Warm sandy beaches fringed with swaying coconut trees, turquoise waves lapping at your feet, enjoy the fragrant sea breeze in your hair as you dip and dive in the warm tropical waters or simply lie at leisure on the soft, golden sand. Head down south towards Galle, Hikkaduwa and Mirissa for a more vibrant beach life while in the North East, the likes of Passikudah, Arugam Bay and Trincomalee have plenty of isolated beaches to revel in. 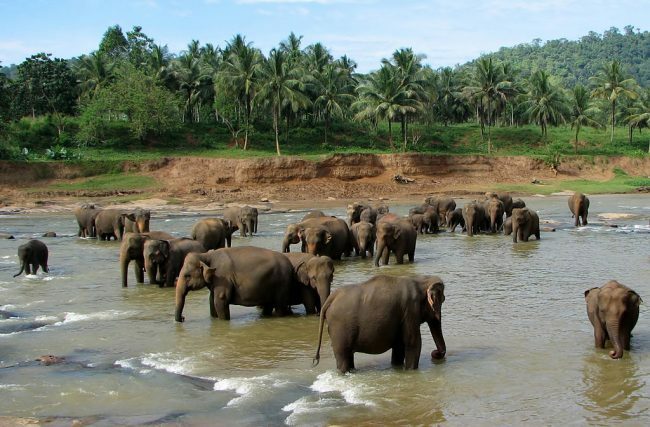 Sri Lanka is one of those countries that boasts a stupendous wildlife population. Venture into the wild where the Sri Lankan leopards, the majestic elephants and colorful bird life roam free, and catch a glimpse of these exquisite creatures in their natural habitat. Yala and Wilpattu wildlife sanctuaries are the best places to encounter wildlife at close range while Kumana and the Muthurajawela marshlands are well-known for their vibrant birdlife. If you fancy a leisurely trek through the jungle, Sri Lanka offers you plenty of opportunities within its pristine virgin rain forests. A country known for its biodiversity, a good place to start would be the Sinharaja Forest Reserve, which because of its high density of biodiversity has been named as a UNESCO World Heritage Site. Look forward to an intriguing experience where you could bear witness to rare and endemic plants, plentiful birdlife and freely roaming animals. Sigiriya, an ancient rock fortress located in the Matale district of Sri Lanka is truly a marvelous sight. 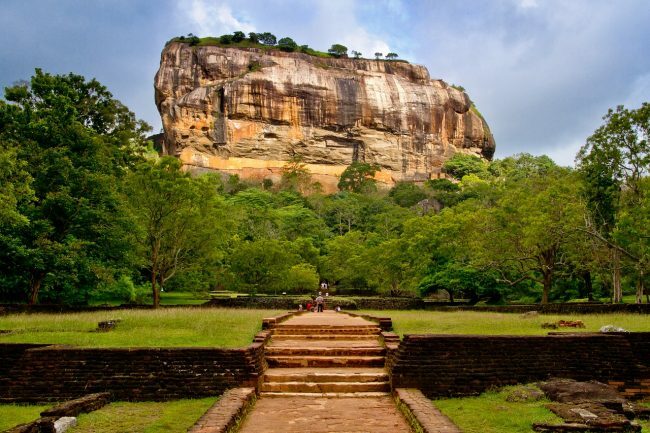 Built between 477 – 495 CE by King Kashyapa, the illegitimate son of King Dhatusena who usurped his throne after killing him, built his fortress and pleasure palace on top of the Sigiriya rock for the fear of the return of the throne’s rightful owner, Moggallana. With a beautifully laid out water gardens of which the architecture still amazes modern architects, well-preserved frescoes and the remnants of the palace on top of the rock, the most remarkable feature is perhaps the giant feet of the lion that visitors go through to enter the palace. Sigiriya has also been named as a UNESCO World Heritage Site due to its sheer magnificence. Yet another UNESCO World Heritage site, the Galle Dutch Fort is one of the most extraordinary archaeological sites in the world. Built by the Portuguese in the 16th century and fortified by the Dutch, the Galle Fort is not just a historical monument, but is also a buzzing cultural hotspot with beautiful villas, cobblestoned roads, ancient churches and many literary and art festivals taking place within its walls. If you want to see hundreds of majestic elephants in one place, the Pinnawala Elephant Orphanage is the place to go. It is here that orphaned and injured elephants of the wild are brought and raised by caring humans. Up close and personal, the Pinnawala Elephant Orphanage even allows visitors to bottle feed the small orphans who are desperate for some human affection. 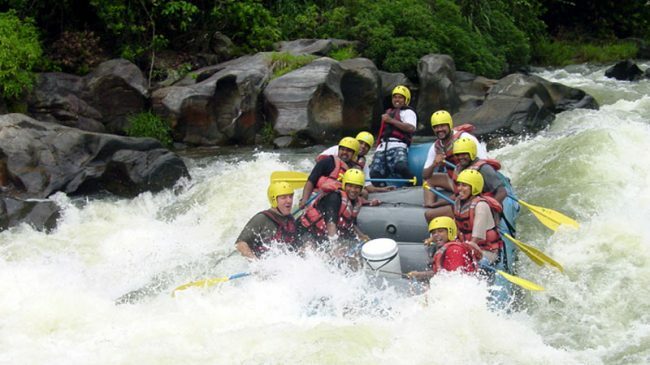 If you are up for some adventure head towards Kithulgala for a spot of whitewater rafting. This particular spot in the Kelani River offers you grade three rapids and is ideal for both beginners and intermediates. Located at the very heart of nature, senses will be soothed by serene bird calls and that mysterious music of the forest as you row by. The best time for white water rafting is from April to November. Get onboard a satisfying cruise to witness magnificent whales and mischievous dolphins at play. February, March and December are the best months to embark on this cruise and the stretch between Mirissa and Galle is the area most known for these cruises. While friendly dolphins will definitely come out to say hello, you will also be able to catch a glimpse of the Blue Whale, Bryde’s Whale, Killer Whale and Pilot Whale during this tour. 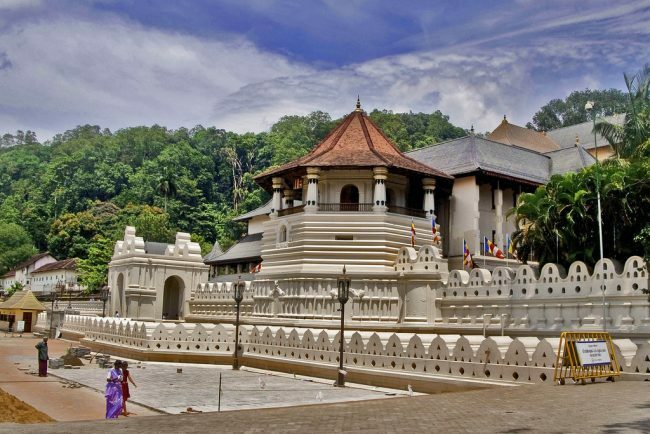 If Sri Lanka is the cradle of Buddhism, the Temple of the Tooth Relic is most definitely its heart. In this largely Buddhist island, the Temple is considered the most sacred of all religious sites and thousands of pilgrims visit every day. Another remarkable feature of the temple is the Kandy Esela Perehara, a grand procession of elephants, dancers and drummers that takes place in July and August each year. Acres and acres of tea spread across the rolling hills of Sri Lanka’s central region – this is a must-see for all those who visit the island. 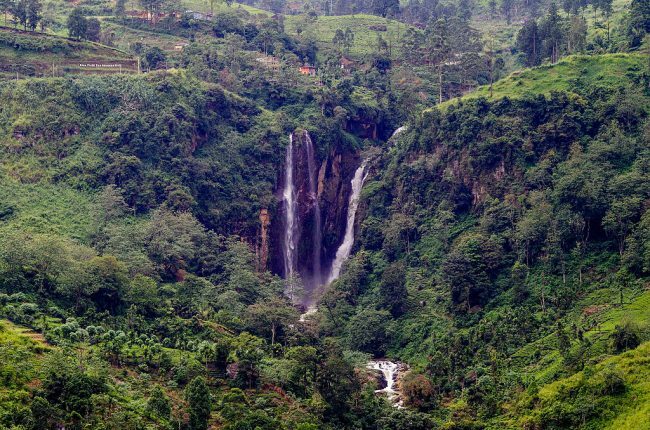 Cascading waterfalls and tea pluckers clad in vibrant cloths dotting the mountainsides as they pluck two leaves and a bud, are among the most memorable sights you will ever see.